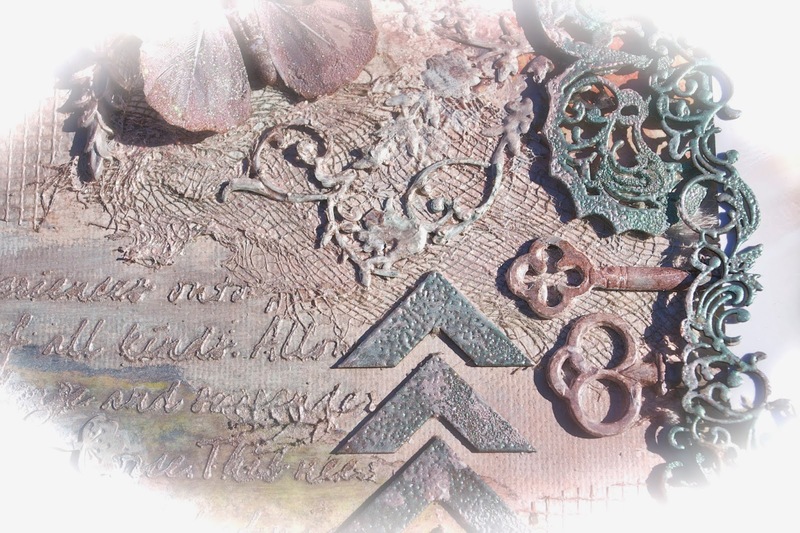 Welcome to the Imaginarium Designs and Lindy's Stamp Gang's blog hop!! This hop will surely get your creative juices flowing, so head over to all these incredibly talented crafters to check out how they've combined the beautiful products from Lindy's Stamp Gang and our fabulous chipboard, it's a match made in heaven. We have a great prize for you too!! We will be announcing a random winner on Monday at Imaginarium Designs!! We would love to have you show some love to all our crafters and leave them a little message for an opportunity to win a fabulous prize from both Imaginarium Designs and Lindy's Stamp Gang, so please let us know that you have done so by coming back to Lindy's Stamp Gang and Imaginarium Designs blog at the end of the hop. Here's a list for the blog hop…Have Fun!!!! 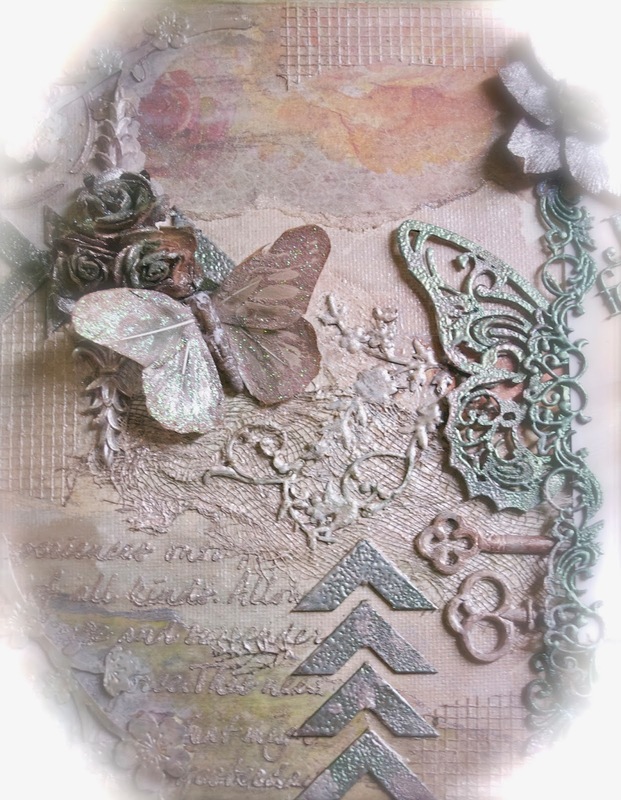 Here's my project, a canvas piece for this blog hop using the incredible Bodacious Blush, Gag Me With A Spoon Grey, and Shabby Turbine Teal Mists along with the beautiful Twilight Blue Slate and Cosmic Pink Blue Embossing Powders from Lindy's along with the beautiful Embellishment Frame, Large Butterfly, and Loolabelle's Chevrons chipboard from Imaginarium Designs!! Here's a close-up of some of the Imaginarium Designs chipboard that I used the embossing powders on. Thanks for stopping by and taking a peek and I hope you enjoy the hop!!!! Don't forget to leave a comment for a chance to win some awesome prizes!!! I love your choice of chipboard pieces. the color palette is lovely--so delicate! The cutouts and embellishments add so much texture. It's a wonderful way to remember that moment in the little dancer's life. Lovely colors and embellishments used! Fantastic job!! I love the placement of all the embellishments! Sooo very pretty! Gorgeous colors! Oh my, this looks gorgeous! Be still my heart! This is so gorgeous. All the sprays you used just put this over the top! Such shimmery beauty! 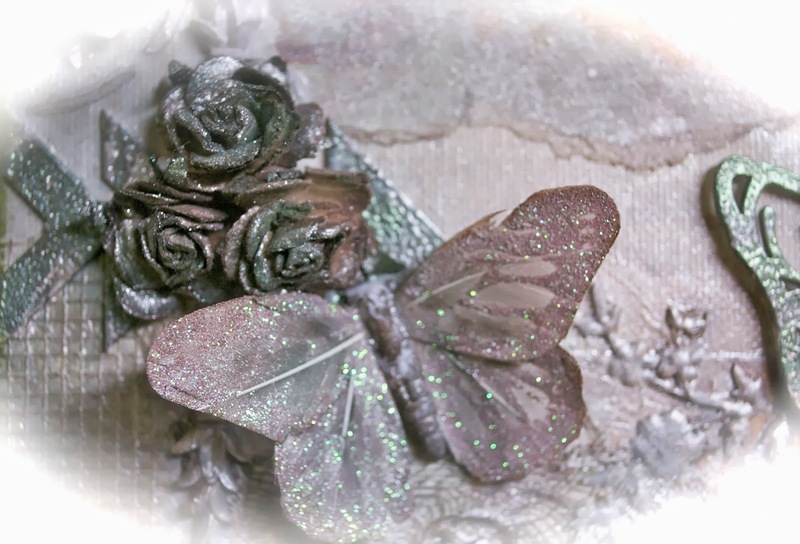 Love the butterfly and the pretty glittery sprats. 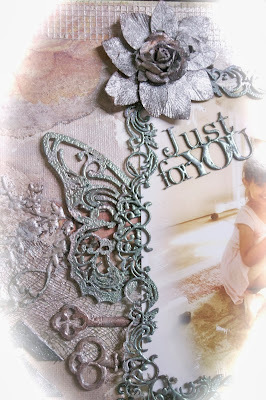 Beautiful project - the colours and embossing powder on the chipboard give it a great feminine metallic look. Thanks so much for sharing! Beautiful project ! Love the colours, butterfly and the pretty glittery sprats. Wow, looks amazing! The LSG embossing powders are gorgeous. I was idly browsing and saw a project made with Lindy's Stamp Gang products, which looked pretty neat! I am not familiar with the products, so I went to the blog and ended up checking out the hop. I may need to buy some and try them out! This is a lovely piece. Very vintage look - so delicate.